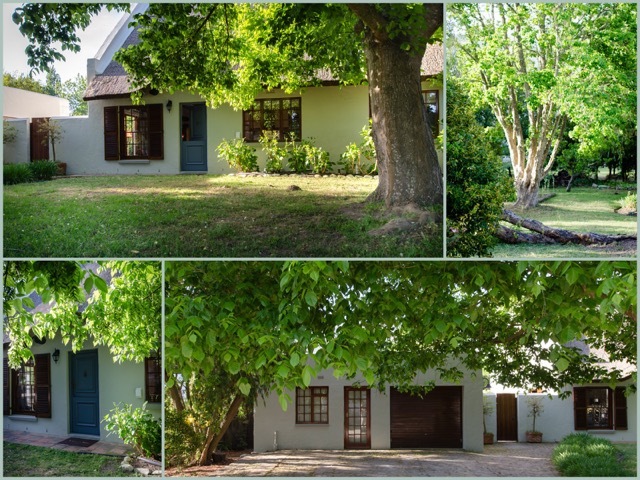 6 on Weder is a stylishly furnished, comfortable and spacious 3 bedroom thatched family home, situated within close walking distance to the center of the village, offering comfortable living spaces with all amenities, fully equipped kitchen and lounge with fireplace. 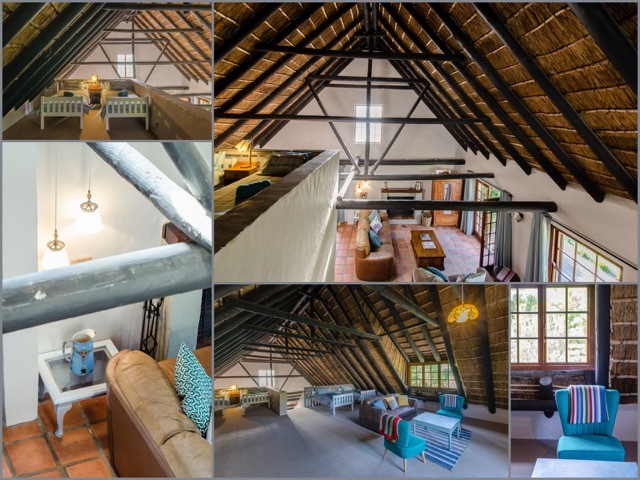 There is a spacious lounge with comfortable furnishings, a dining room with 8 seater dining table, lovely country kitchen and outside braai facilities. 6 on Weder has three bedrooms, main bedroom downstairs with super king bed and en-suite bathroom with double shower, basin and toilet. The second bedroom is situated downstairs with 2 ¾ beds. There is a second bathroom with a bath, shower, toilet and basin. 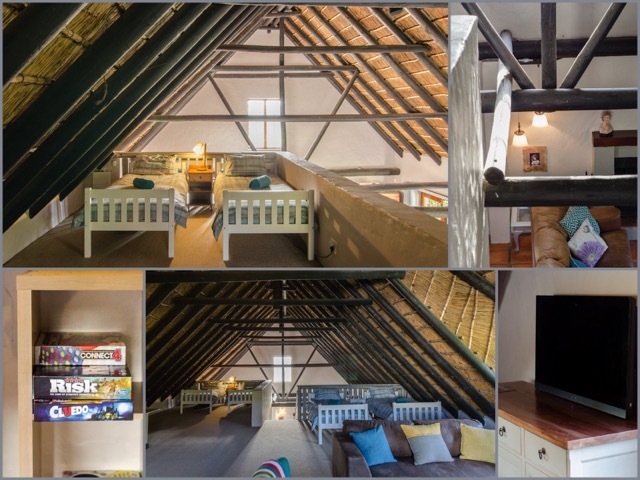 The third bedroom is a mezzanine loft bedroom with 4 single beds. The garden is spacious and mature and there is off-street or behind gate. 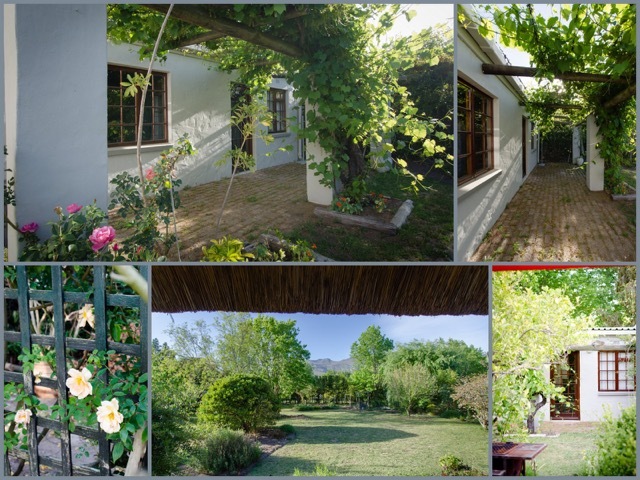 The cottage ideally sleeps 2 couples for 4 children comfortably in three bedrooms, and suitable for up to 8 guests. • White cotton percale Linen & bath/hand towels provided. • Fully equipped kitchen with 4 plate gas hob/electric oven, dishwasher, washing machine, tumble dryer, microwave, big fridge/freezer, toaster & kettle, Coffee plunger, electric frying pan. • Max 2 dogs by prior arrangement, sorry no cats.